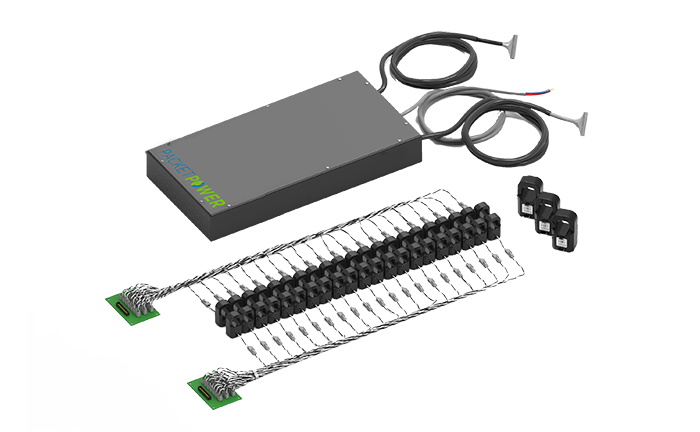 The two new models of branch circuit monitoring retrofit solutions feature a flexible CT harness designed to fit inside even the tightest panel along with low-profile split core CTs. Each comes pre-wired and pre-configured to minimize installation time and expense. There's even no need to run data communications wiring. And our new panel mapping tool makes it easy to express the exact circuit mix on each panel. Taken together, it adds up to a 30-60% savings on installation time and expense. The BG32 is a wireless 96-circuit full branch circuit monitoring kit that installs on PDUs, RPPs or panelboards from any vendor. It can be used on up to four 42- or 48-pole panels and can accommodate any combination of single-, 2- and 3-phase circuits. The BG08 is a wireless current-only panel monitoring solution that measures current (amps and amp-hours) on up to 48 circuits per panel. 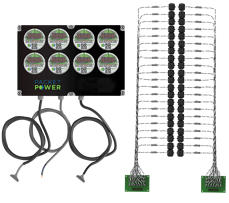 Full power monitoring on the input circuits is available as an option. The BG08 costs approximately 40% less per circuit than full-power metering. 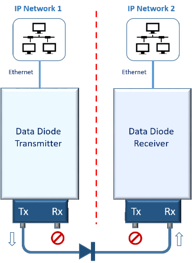 Data Diode delivers a secure, one-way IP network bridge. It enables sharing data from hundreds of Packet Power monitors between two unrelated IP networks and works with V3 and V4 Ethernet Gateways. Data Diode is ideal for colocation services providers to share specific monitoring data with customers for use in the customer's monitoring application. And Data Diode securely allows data from an isolated network to be sent to a cloud-based monitoring service such as Packet Power's EMX Energy Portal. The new branch circuit monitoring solutions (BG08 and BG32) are available immediately. Data Diode will be available in November 2017. Please contact your local Packet Power Partner for more information or you email sales@packetpower.com.